If you have time to kill, word games on your mobile phone are always a great option because they help to build your vocabulary as well as these make you more comfortable using new words. Here in this review we have brought a game from the same genre, Word Search. 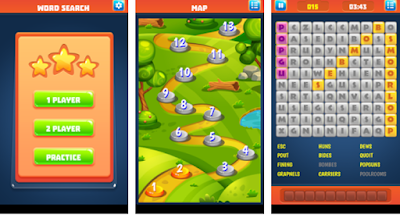 · Presently it comes up with 21 levels and more levels that are exciting are coming soon. · Highly customized setting where you can easily select between Reverse word, snake words, and diagonal arrangement of words or select all of these. · It is available in many languages that you can change from the settings. · Play against your friends or others in real time with its two-player mode. · It offers beautifully themed graphics and easy to use interface. So what else you need have it today without wasting a sec and install this best time killing pill free for your Android device.